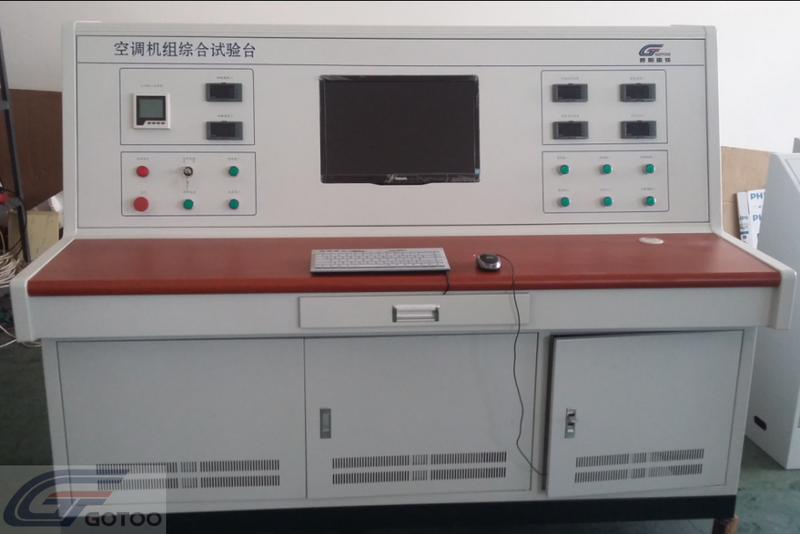 The air conditioner test set is used for the performance test of the metro air conditioning unit. 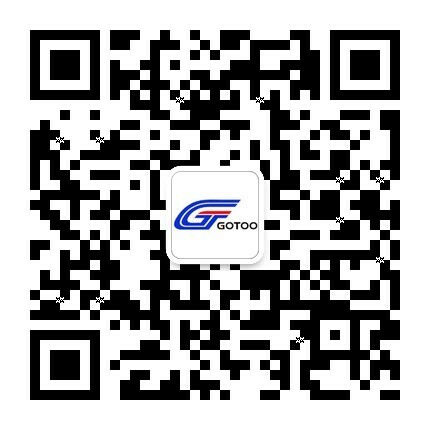 1) The installation and positioning of the test device and the air conditioning unit are convenient and reliable, and the operation is simple and flexible. 2) The test device is equipped with an air conditioning inlet and outlet simulation pipeline, equipped with a wind speed sensor and a temperature and humidity sensor, which can measure the temperature of the air inlet and outlet of the air conditioning unit, the temperature of the inlet and outlet of the condenser, and the speed of the air outlet. Wind temperature difference to determine the cooling effect. 3) It has a phase sequence detection function to prevent phase sequence from being reversed, and to monitor and protect the overload, short circuit and phase loss of the air-conditioning unit during the test. 4) Real-time detection of compressor, blower, condenser blower current and three-phase incoming line voltage. 5) The control system adopts manual or automatic adjustment, and the manual and automatic control switches do not interfere with each other. Computers, instruments and meters can control the working conditions independently, but they can also control each other and ensure the stability of test conditions under any ambient temperature conditions. 6) The test bench is equipped with corresponding protective devices to ensure the safety of equipment and operators. 7) Using a computer test system, the test data can be automatically collected, saved, display test, generate a print report, and automatically determine whether it is qualified. 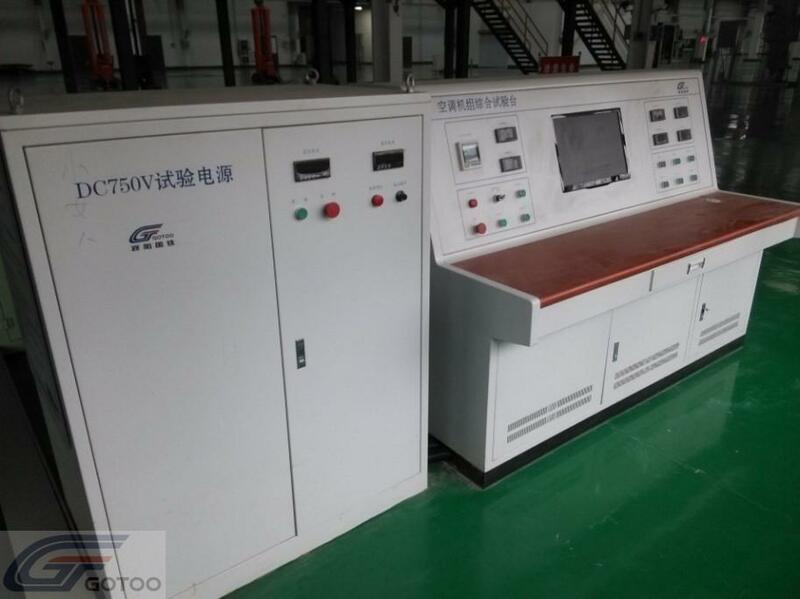 The test device consists of an air conditioning unit test bench, electrical measurement and control cabinets and electrical connection lines, including: temperature sensor, electrical parameter measuring instrument, wind speed tester, phase sequence protector, AC contact, overheat protector, air switch, operation Buttons, controllers, electrical connectors, cables and cabinets, air heaters, and computer test systems.